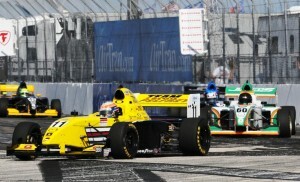 Although the testing at Barber Motorsports Park and the early practice sessions on the Streets of St. Petersburg belonged to JDC MotorSports’ Tristan Vautier, today belonged to Team Pelfrey’s Connor Di Phillipi. 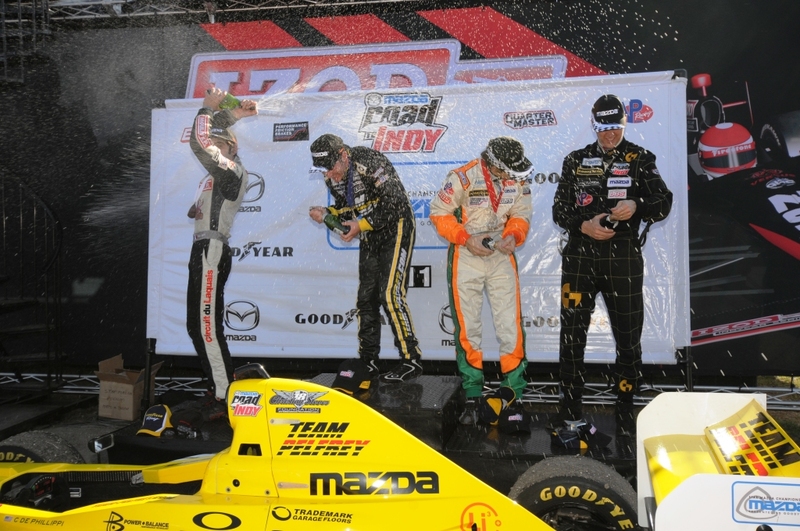 Connor won the 2010 season finale at Road Atlanta, but as a member of a brand new team to the Star Mazda Championship it wasn’t surprising to see him and his team struggle for pace during testing. Apparently, it didn’t take them long as although Juncos Racing’s Martin Scuncio took the pole positions for today’s race, Connor won the day and picked up right where he left off in 2010 after passing Martin on a restart after a long yellow-flag period due to a Lap 1 incident. The podium was completed by Martin Scuncio in P2, and the driver who seemed to be the real man to beat in testing, Tristan Vautier. The driver/team combination for whom we’ve had very high expectations, Patrick McKenna and Team GDT finished solidly in fourth, which is about where they’d been slotting up in testing and practice. I’m still of the opinion that we will see Patrick on the podium a few times this season and perhaps even on the top step. Completing the top five was late addition to the series, JDC MotorSports’ Chris Miller.